Pension Cottonfarm is a charming accommodation providing guests with clean, quiet , friendly and secure promises. Your hosts, Takeshi and Naoko are totally committed to ensuring your stay is comfortable and pleasant. Visit Pension Cottonfarm in Expedia. For the sports fan, why not visit us and enjoy skiing & snowboarding. 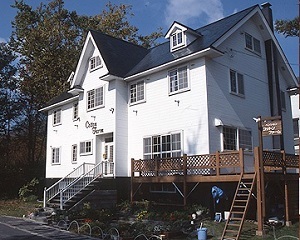 Located at the base of Niseko Annupuri, Pension Cottonfarm offers accommodation close to the Annupuri Gondola Base. 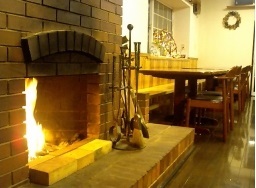 For others, why not enjoy various Onsen(Hot Springs) in the surrounding area. Annupuri Hot Spring is a few minutes walk from us, so you can relax and chill out after skiing. If you would like to explore further whilst staying in Niseko, Nook Annupuri Bus Stop is only minutes wals from us. So hop on a shuttle bus or an Onsen bun, and you are in Niseko's various other ski resort areas. Of course, in the summer, you can enjoy fishing, rafting, cycling and more as well! 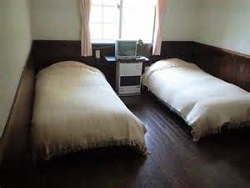 Pension Cottonfarm offers several room types to suit all travelers. There is a choice of twin, triple or family with shared bathrooms and toilets. All rooms come come with fully made up beds and clean linen. All beds have goose down duvets and provide the utmost in comfort and support to endure our guests a restful night's sleep. *Dining room and guest rooms are non-smoking. 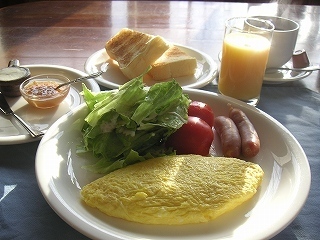 Niseko Annupuri is 100km from New Chitose Airport or Sapporo. It takes 2 hours (3 hours in winter) to us by car. Chuo Bus, Niseko Bus and Donan Bus operate regular bus services to Niseko Annupuri. A train runs from New Chitose Airport or Sapporo to JR Niseko Station. From JR Niseko Station, it is about a 10 minutes taxi ride to Annupuri. For more information on buses and trains, visit Access | Niseko United. present by Layout Gallery. Copyright © Pension Cottonfarm. All rights reserved.